Aaron Lohman was born and raised in West Linn, Oregon. He received his Bachelor’s degree in the study of Linguistics from the University of Oregon in 2010, and went on to obtain his JD from Gonzaga University School of Law in 2014. While attending Gonzaga University School of Law, Aaron sat on the editorial board of the Gonzaga Law Review as Business Editor, and served as a volunteer intern at the Spokane County Prosecutor’s office. 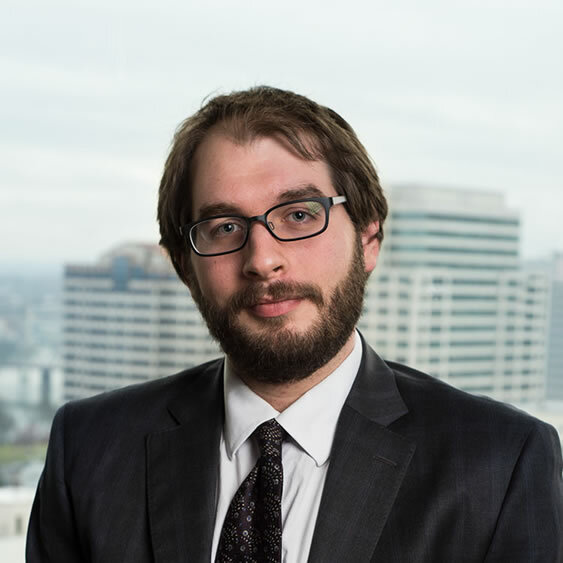 Aaron has been a member of the Oregon State Bar since 2014, representing individual and business clients in a variety of civil matters. He is a creative problem solver who strives to offer efficient methods of achieving client objectives. When not practicing law, Aaron enjoys reading, watching movies, and playing music.